BANGKOK, 16 February 2017 - Sime Darby Mazda (Thailand) Limited and Mazda Sales (Thailand) Limited today announced the opening of a brand new Mazda facility comprising Sales, Service, Spare Parts and Body & Paint services at Paradise Park, located in Central Srinakarin Road. The facility aims to provide discerning Mazda customers a comprehensive, first-class, sales and after-sales experience with its trained personnel, modern and comfortable facilities, and strategic location in Srinakarin. "In addition, the Sime Darby Mazda Paradise Park showroom is also the first to be launched using the new Mazda logo as a distinctive element that reflects the Mazda brand in a way recognisable to customers and is more visually appealing. 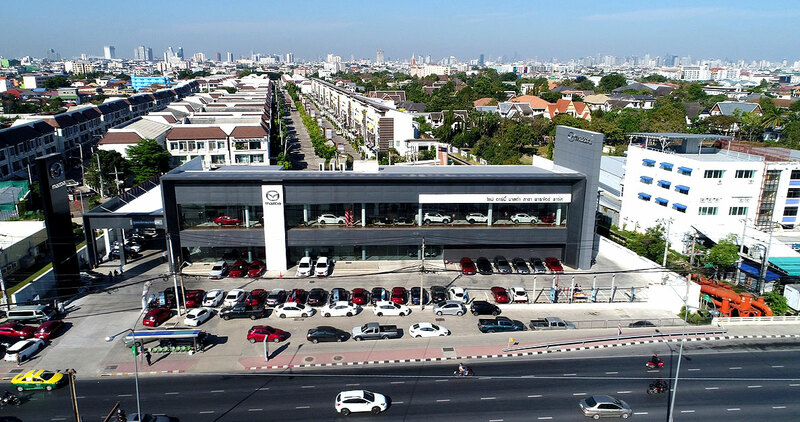 The design of the new showroom presents a modern yet warm and relaxed environment for customers, as an expression of the great success of Mazda Sales (Thailand)." Sime Darby’s Paradise Park is the largest Mazda facility in Bangkok to-date. It is built on a 5,400 square meter area, displays up to 12 cars in the showroom, with 23 workbays for Service and Collision Repair. The showroom has modern facilities that elevate the Mazda brand to a new level like the spacious and relaxing customer lounge that has free WiFi and serves snacks and beverages. It also has two New Vehicle Delivery bays to allow new customers space to interact with their Sales Consultant during the delivery process and fully understand their vehicle’s features. The facility has the full range of Mazda test-drive units available for customers to test and make their choice. “We want all our customers to know that purchasing a Mazda from Sime Darby is only the beginning of their relationship with us. We are here to show we care for them and this facility represents a key milestone for Sime Darby and our successful partnership with Mazda,” remarked Lee.